While painting can be done in several buildings within the facility, the paint shop provides a dedicated purpose-built, ventilated and serviced facility within which painting of steel structures can be quickly carried out. With a sloped floor, paint mixers, high pressure water system, 100PSI compressed air system supplemented by a second medical air system, painting can be safely carried out in an environmentally friendly fashion. 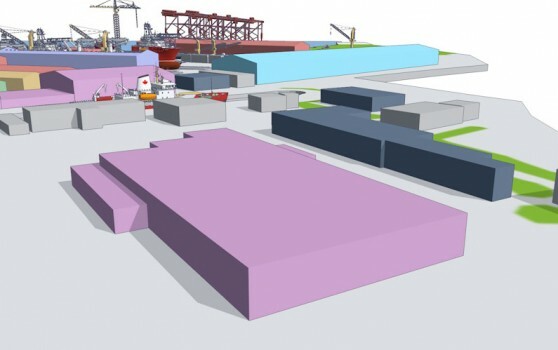 Located alongside the Champlain Dry Dock, the panel cutting shop houses a 145m panel line using two IMG plasma plate cutting machines as well as machinery for plate blasting and painting, 1660m2 of plate storage and a separate pre-assembly line. Able to handle primed and unprimed steel, the panel cutting systems receive instructions via fibre-optic lines from the facility's production, planning, design and engineering departments. While cutting, the system labels each plate for pre-assembly and transportation to the 3D production lines. At 351m, the Champlain Dry Dock is Canada's largest graving dock. The Champlain Dry Dock is 36.57m wide and was fully refurbished in 2001 at a cost of over USD 12m. The dock is serviced by elevators and a variety of fixed and mobile cranes and can be used for both repair and construction projects. 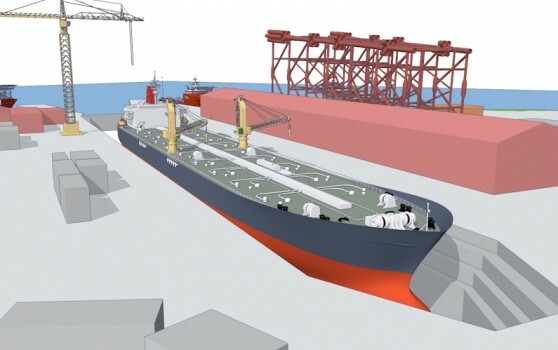 A channel connecting the Champlain Dry Dock to the main shipping channel on the St. Lawrence river provides a safe passage for vessels of all descriptions. 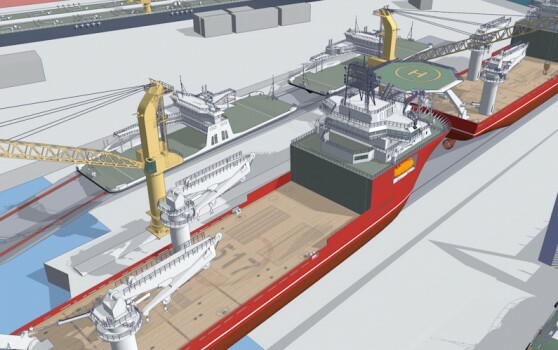 The dock is equipped with a central gate which allows two vessels to be docked at any time (194.5m in the inner section and 147m in the outer section). Once cut and labelled, one dimensional steel plate and stiffeners are brought to the 2D and 3D production line for shaping and assembly. Starting at one end of the complex, steel plate begins a 400m journey down the production line on a step conveyor system moving on air cushions; capable of moving 250t blocks from one end of the building to the other. 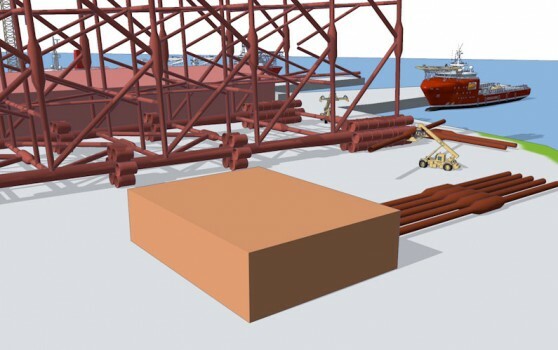 Once 2D forms are created along one side of the production line, shaped and pre-outfitted panels are moved with a specially built load-out system across to the 3D production line where block assembly is completed prior to transportation for block pre-outfitting. The 3D production complex is supported by a variety of machinery for shearing, rolling, heating, bending and welding of steel panels and blocks. 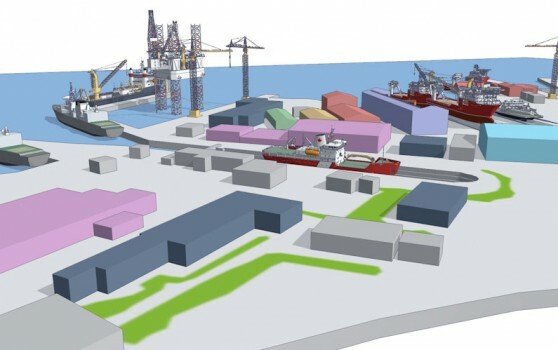 Our main construction berths are located to the East of the facility and have been the birthplace of hundreds of vessels and rigs over the past 185 years. 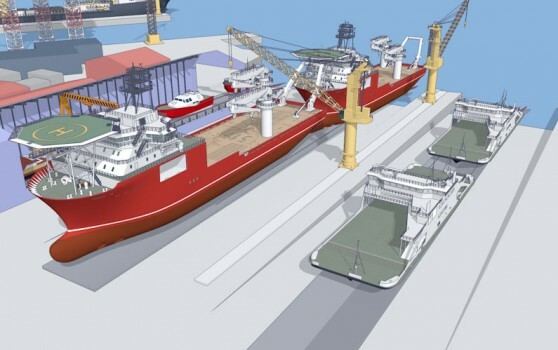 At 260m long, the main construction berths are a suitable size for the construction of nearly all vessel types for the shipping, oil & gas, passenger and naval sectors. 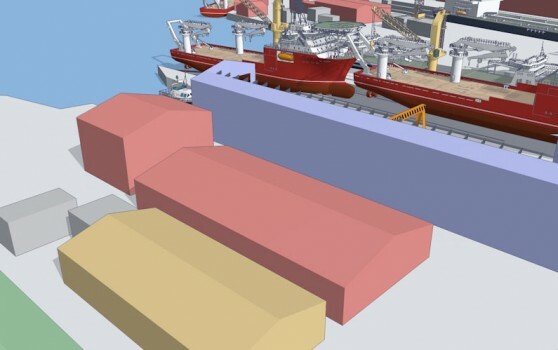 With a 5% slope, the main construction berths provide the ideal gradient for ship and rig building projects. 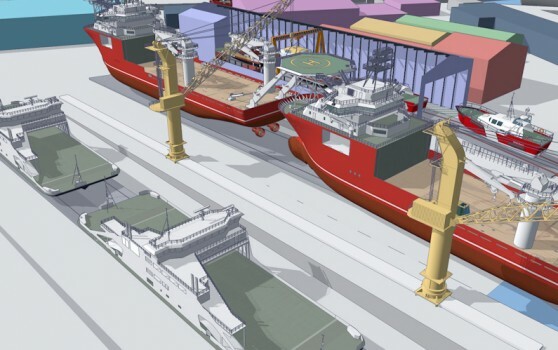 Most commonly, ships are built behind one another on the main construction berths to provide a continual production line for a particular program. 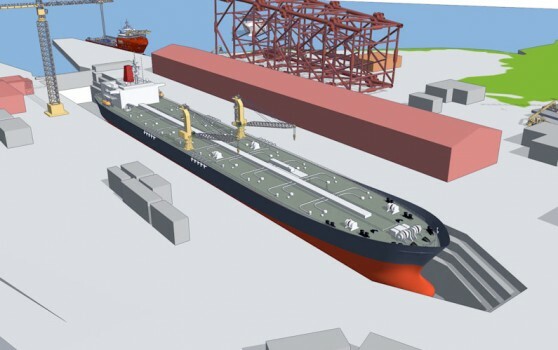 The main construction berths are serviced by two fixed and a host of mobile cranes. Purpose built shelters are lifted across areas on a shipbuild project where cover is required for weather-sensitive activities. 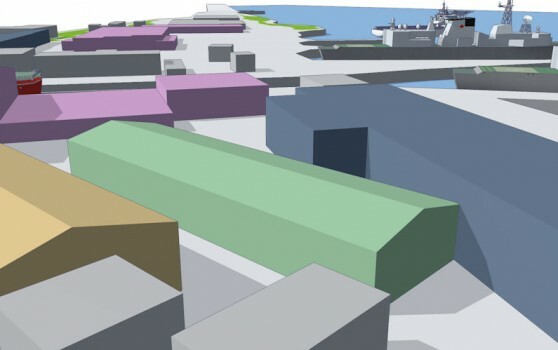 Davie's covered slipway is divided into sections capable of adapting to different projects. 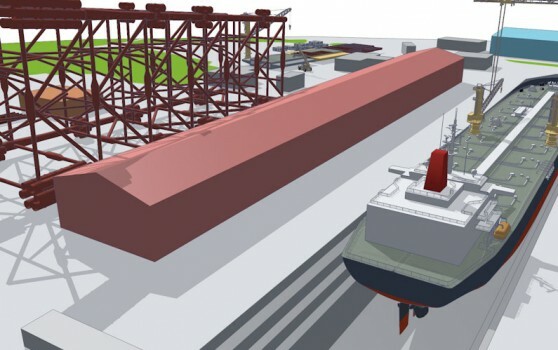 For larger scale projects, the covered slipway is divided into three sections - a 3D assembly section, a sandblast section (with full shoot and recovery, ventilation and dust recovery) and a third paint section. 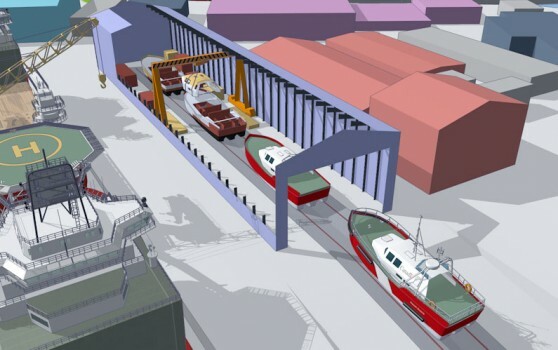 For smaller or more complex construction projects where efficiencies can be gained from building undercover, the covered slipway is equipped with a rail system to create a fast production line for small vessel construction projects. Our 2300 sq. m electrical complex provides construction support to projects within the facility as well as operational and routine maintenance of Davie's equipment and machinery. From the electrical complex, staff can design, connect, install and solder the mission critical equipment required to maintain Davie's production levels as well as meet the stringent safety requirements of the electrical systems installed onboard oceangoing vessels. Having been established in 1825, our skills in woodwork have been passed down through generations. Our carpentry shop is mainly focused on interior / accommodation outfitting. Our carpenters contribute to Davie's self-sustainability as a fully integrated facility allowing us to provide our clients with a range of products and services from within the facility. 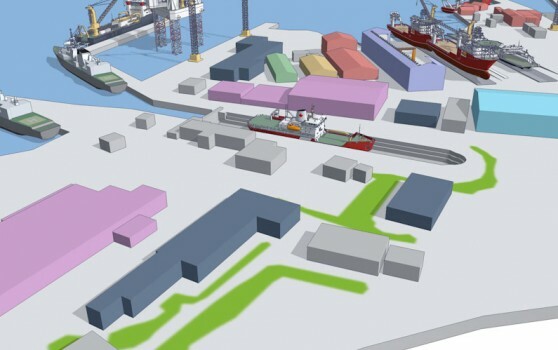 Our piping complex comprises a 3500 sq. m area across two buildings and is able to accommodate heavy or light wall pipe in all types of material such as carbon steel, stainless steel, Cu-nickel and copper. A vast range of equipment is contained within the piping shop such as horizontal pipe bending machines capable of bending pipe up to 250mm as well as grooving, flaring and threading machines. As with all production facilities at Davie the Piping Complex is serviced with welding gas, CO2, Argon, compressed air, oxygen/acetylene with fume extraction systems and overhead travelling cranes. With ample pipe storage and dedicated pipe-labelling systems, Davie's piping complex is able to handle piping requirements for multiple construction projects simultaneously. Within Davie a vast array of offices are located across the site accommodating not only Davie staff but also our partners, suppliers, classification societies and clients. All offices on site are serviced by high-speed fibre-optic cabling connected to our integrated facility management software which provides all those on site with access to real-time data concerning all facility, production and operational matters. Our four-storey corporate offices houses our management and administration functions while other offices across the site provide hubs for engineering and production. 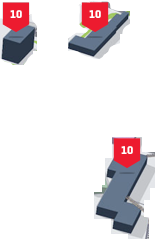 Our client complex is located to the west of the corporate offices and provides a base from which to station their on-site representatives in comfortable and fully-serviced facilities. Our main machine shop complex comprises over 3,066 sq. m of equipment such as lathes, drills, presses, vertical and horizontal saws, boring machines, grinders and so on to service our construction projects. Served by two overhead gantry cranes, parts can be quickly moved in and out and around the machine shop. Located conveniently inbetween the East and West sides of Davie, the machine shop and its staff are able to serve, with ease, all production facilities. 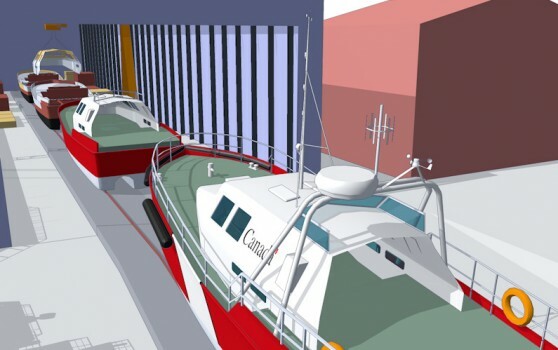 The Lorne Dry Dock is found on the west side of Davie located just in front of the corporate head offices. 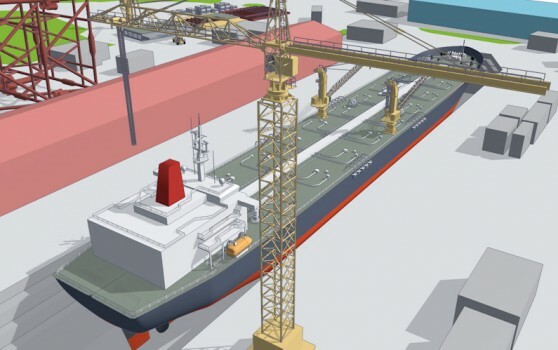 At 182.95m long and 18.89m wide, the Lorne Dry Dock is well suited to the repair, maintenance and conversion of narrower vessels such as surface combatants, coast guard vessels, tugs and so on. The Lorne Dry Dock has a pumping time of 3 hours and is therefore able to quickly turnaround incoming vessels. 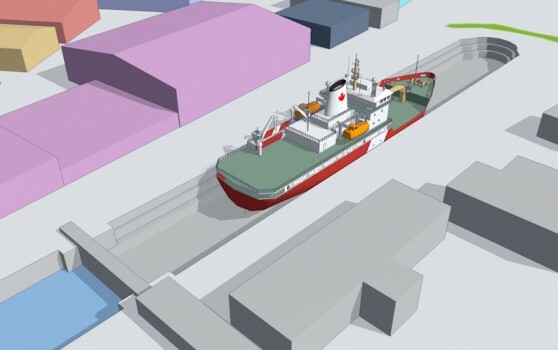 Dedicated covers for the Lorne Dry Dock are on site and can be positioned over the dock on rails to provide protection for weather-sensitive tasks. 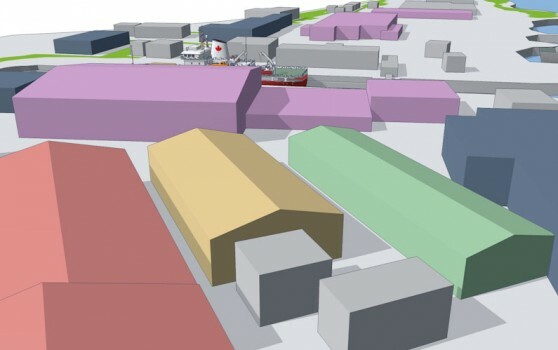 The central stores, pre-outfitting bays and stiffener lines are located on the west side of Davie. 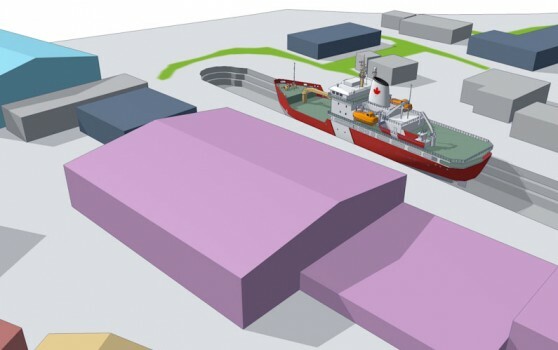 Other buildings presently being used as storage also serve as covered slipways for smaller vessel construction projects. Our environment-controlled central storage facility includes over 3150 sq. m of racking across 5 levels serviced by a fleet of 4 orderpicker trucks, 3 electrical lift trucks and 3 diesel lift trucks. Contained within the central storage facility are two mezzanine levels providing office facilities for our logistics and supply chain, warehousing and procurement departments. 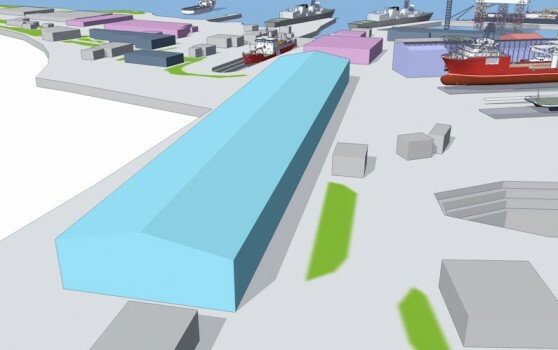 Further to the west of the central storage facility are a range of pre-outfitting bays which are able to hold a range of pre-erected steel blocks while pre-outfitting of piping, HVAC, electrical and other systems are installed prior to being moved to the construction berths, slipways or fabrication areas for assembly. Explore the facility clicking the titles below.